The world is far off course from its goals in cutting greenhouse gas emissions — and research published Tuesday illustrates one of the most striking implications of this. Namely, it finds that for every five years in the present that we continue to put off strong action on climate change, the ocean could rise an additional eight inches by the year 2300 — a dramatic illustration of just how much decisions in the present will affect distant future generations. “One important point was to reveal that sea level [rise] is not in the far future, it’s now, and because the system is so slow, we just can’t see it at the moment,” said Matthias Mengel of Germany’s Potsdam Institute for Climate Impact Research, the lead author of the study, which was published in Nature Communications. The study, which also included scientists at institutions in Australia and Austria, takes as its premise that the world will work to achieve the Paris climate agreement’s sharp cuts in greenhouse gas emissions. This, in turn, means that global greenhouse gas emissions must reach a peak by either 2020, 2025 or 2030 (or possibly 2035) and then begin to decline rapidly. The longer the wait, the faster the necessary decline after the peak. “The more cumulative emissions, the more warming, the more sea level,” Mengel explained. And that’s just the central estimate in the study. At the extreme end of what’s relatively unlikely but still certainly possible, the research found that each five-year delay could mean as much as an additional meter, or over three feet, of sea level rise. “It tells us that we are really uncertain, we don’t know enough about the ice sheets,” Mengel said. It is important to note that Mengel’s study considers only sea level rise scenarios that are consistent with the very ambitious goals of the Paris agreement. And even in these rosy scenarios, the study finds that seas could rise by between 2.3 and 4 feet by 2300, or about .75 to 1.33 feet per century. Extrapolating forward, their study in the Proceedings of the National Academy of Sciences found that if the current rate of increase continues, seas would rises by 2.13 feet by 2100 alone. In that work, a team of scientists with NASA and several institutions in the United States, Norway and the Netherlands found that the southern continent is losing about 183 billion tons of ice per year — thanks in part to an annual increase of 36 billion tons in the amount of total ice released from the continent into the ocean between 2008 and 2015. 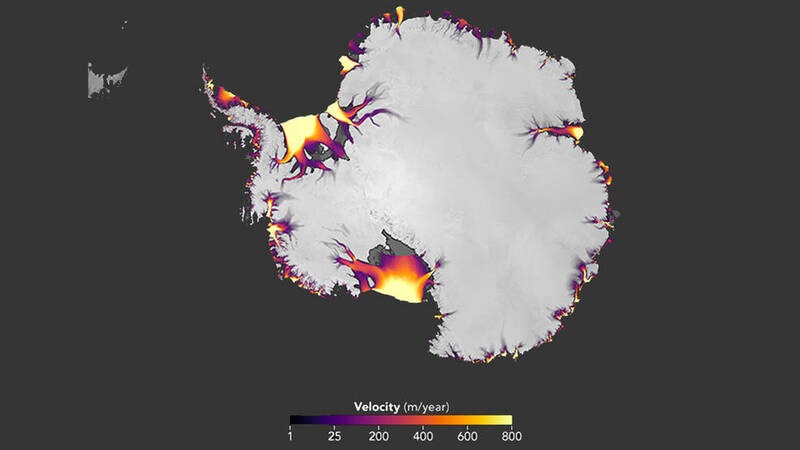 The change is modest, given the total size of Antarctica — where about 2,000 billion tons of ice are added each year through snowfall, and even more are lost as ice breaks away, melts or gets blown back into the sea. “When we compare our current mapping of Antarctica to the one that was done in 2008, we’re seeing an acceleration in West Antarctica, very little change in East Antarctica, and very little change in the peninsula overall,” said Ted Scambos, an Antarctic expert at the National Snow and Ice Data Center and one of the Cryosphere study’s authors. 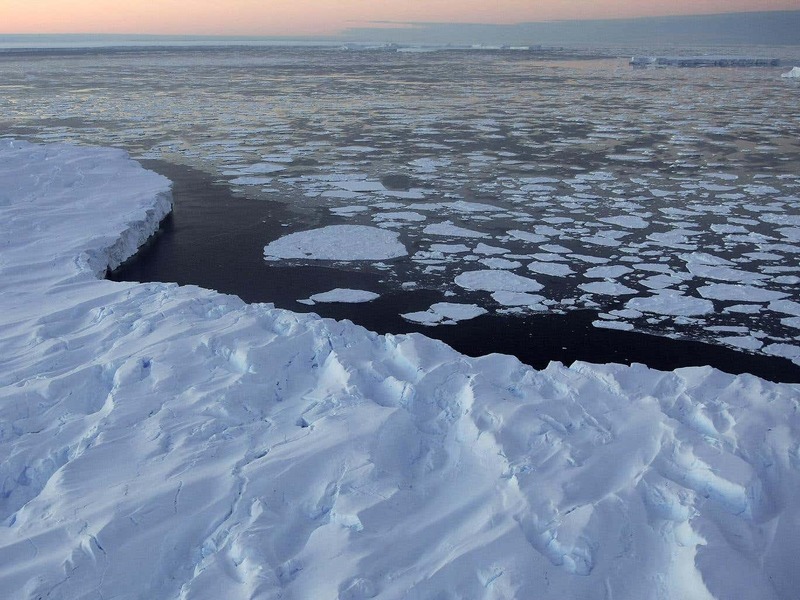 The West Antarctic ice loss is 214 billion tons per year on average, Scambos said. An additional 31 billion tons are lost from the Antarctic peninsula, and 61 billion are gained in East Antarctica because of snowfall, according to the scientists’ estimates. It all points to the same conclusion — just where the ocean laps at shorelines experienced by a child in the year 2300 will very much depend on the present, and which pathway we choose to take, at a time when critical decisions about climate change are being made. “The Paris agreement, it’s strict on what can happen,” Mengel said. Gizmodo : It's Too Late To Stop Sea Levels From Rising, So What Can We Do? 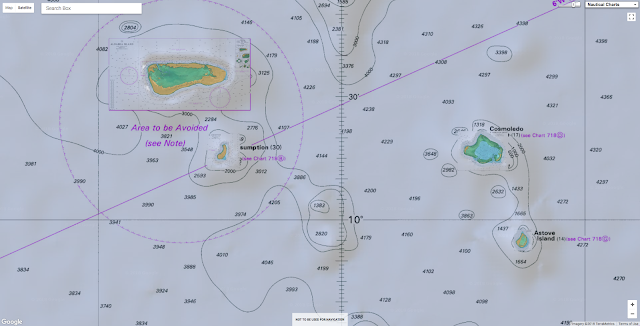 The Chairman of The Nippon Foundation, Yohei Sasakawa, has announced that The Nippon Foundation – GEBCO Seabed 2030 project to map the bathymetry of the world’s entire ocean floor by 2030 has started. The Nippon Foundation has pledged $2 million per year as seed money – and is calling on the resources of the international maritime community for additional support. A concept paper for the project highlights that the vast majority of the world ocean has not been sampled by echo sounders even at a resolution of about 30 arc seconds. 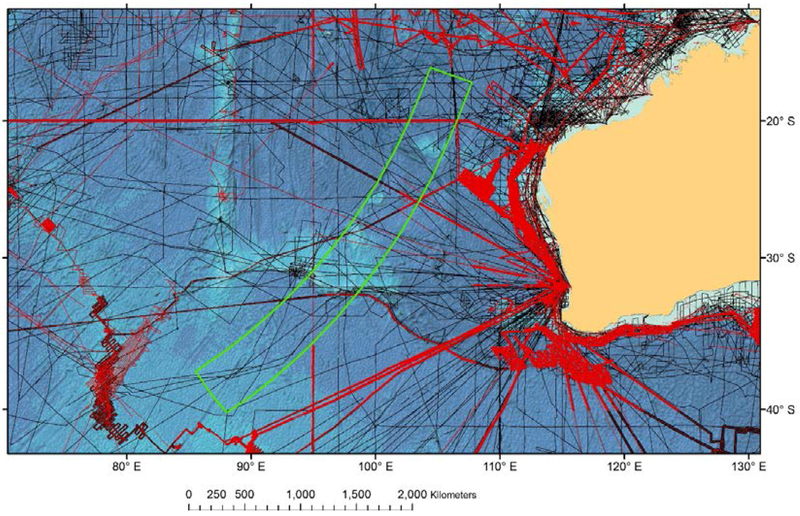 Considering that many of the approximately one kilometer grid cells only have a single sounding in them, the percentage of the seafloor that has actually been measured by echo-sounders is considerably less than 18 percent. 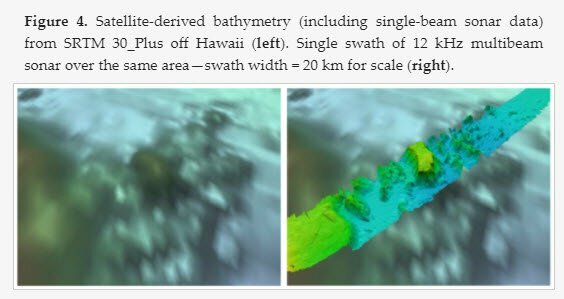 Satellite altimetry-derived bathymetry has represented an advancement, providing global coverage of general estimates of depths. However, it is far less precise than echo sounder-derived data and has far less resolution than modern multi-beam sonars. 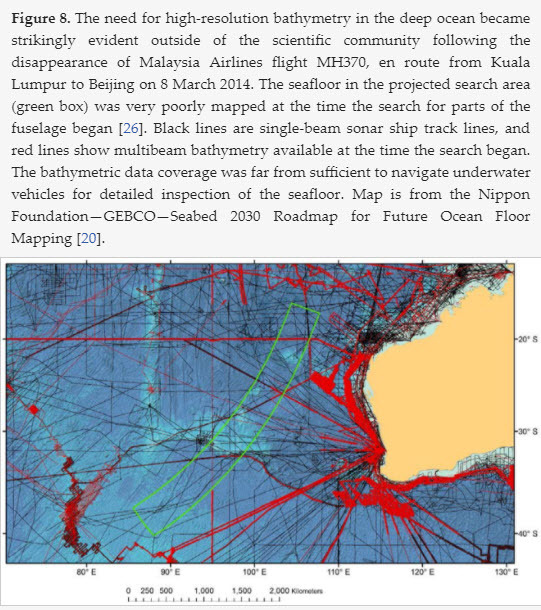 Understanding the bathymetry (seabed depth) of the global ocean is imperative, not only for improving maritime navigation, but also for enhancing our ability to predict climate change and monitor marine biodiversity and resources, says Sasakawa. 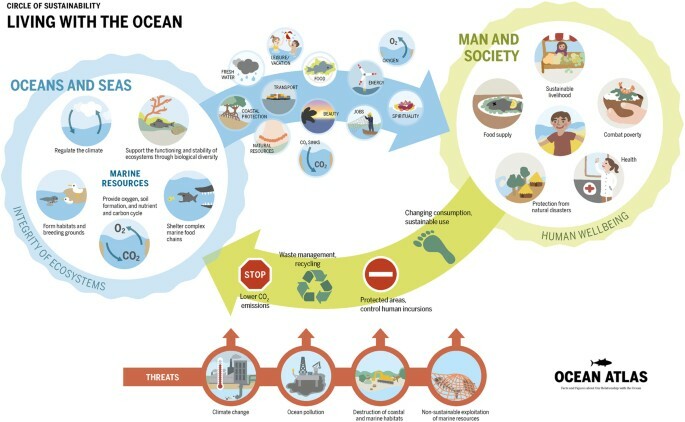 The project will make a significant contribution to the U.N.’s Sustainable Development Goal 14: to conserve and sustainably use the oceans, seas and marine resources for sustainable development. 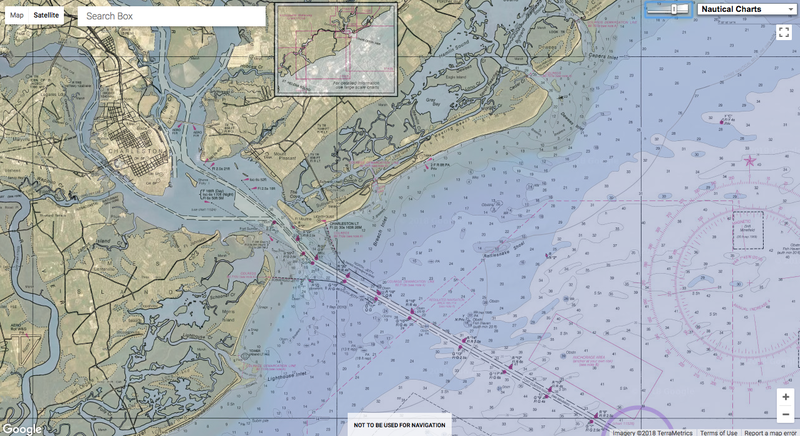 A comprehensive map of the seafloor will assist global efforts to combat pollution, aid marine conservation, forecast tsunami wave propagation, and help inform the study of tides, wave action, and sediment transport. 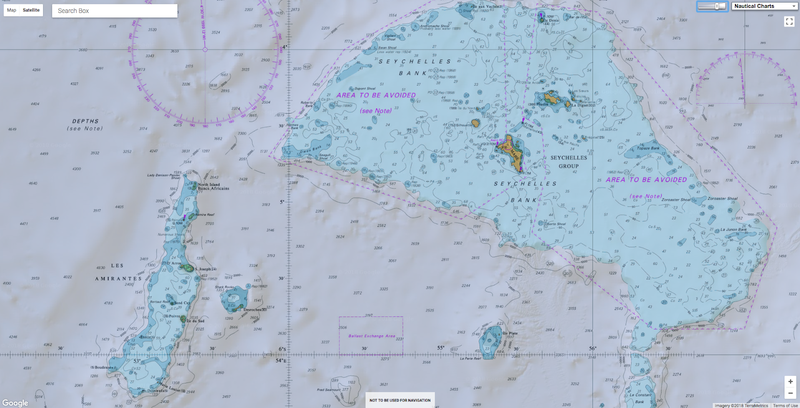 The need for bathymetric data was also highlighted by the disappearance in March 2014 of Malaysian Airlines flight, MH370. Since its launch, the project has made rapid progress, drawing on the experience of some 28 international organizations around the world. 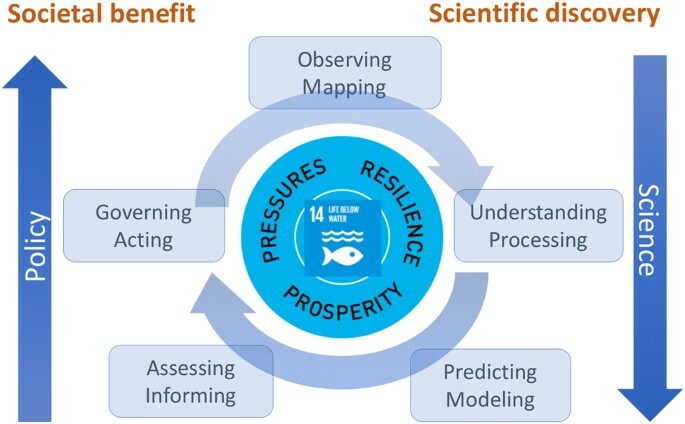 The project’s structure is based on a roadmap produced by an establishment team of leading ocean mapping experts. “The Nippon Foundation alone cannot achieve the objectives of this ambitious project,” said Sasakawa. “We will need the support of a large number of stakeholders, including world-leading technical experts. 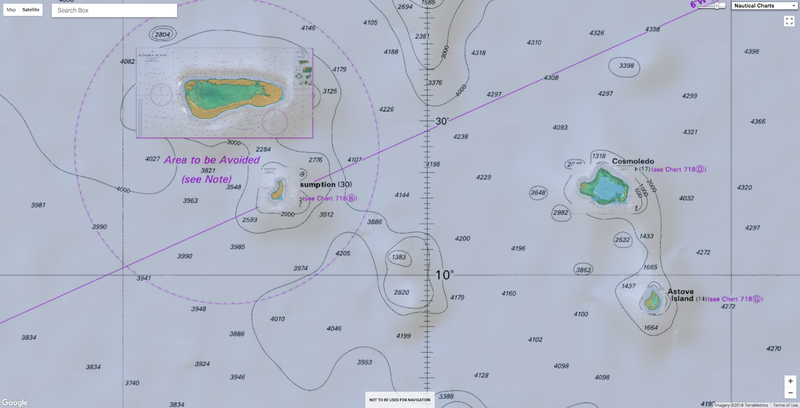 As shallow seas lie mostly in the territorial waters of coastal states and much of the responsibility for mapping these waters will rest with local hydrographic agencies, most of the effort of the Nippon Foundation GEBCO Seabed 2030 Project will be focused on the 93 percent of the world’s oceans that is deeper than 200 meters and often beyond the jurisdiction of local hydrographic agencies. For the other seven percent, the project will work closely with local hydrographic agencies to obtain shallow water data wherever possible. 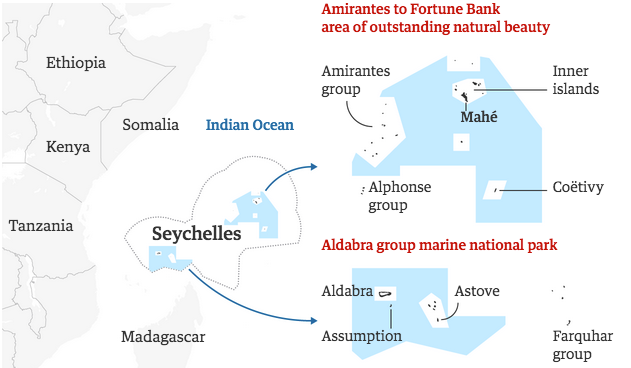 Four Regional Centers have been set up, each with responsibility for a region of the world’s ocean, with a Global Center to produce the global map. 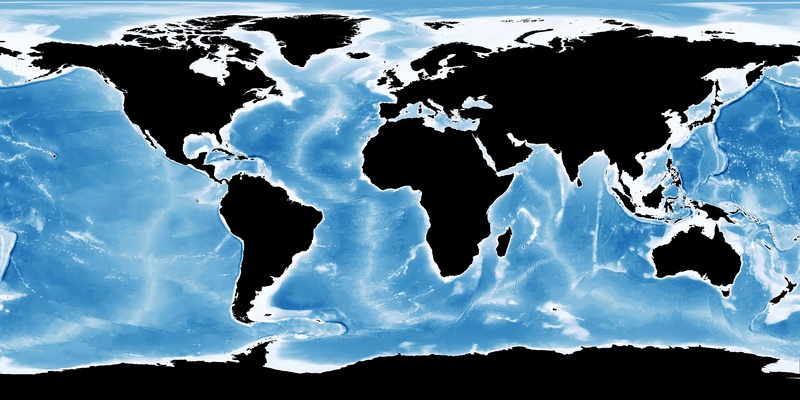 The Regional Centers are based at The Alfred Wegener Institute (AWI), Germany, covering the Southern Ocean; The National Institute of Water and Atmospheric Research (NIWA), Wellington, New Zealand, covering the South and West Pacific Ocean; The Lamont Doherty Earth Observatory, Columbia University, U.S., covering the Atlantic and Indian Oceans; and Stockholm University, Sweden, in partnership with the University of New Hampshire, U.S., for the North Pacific and Arctic Ocean. The Global Center, which is responsible for centralized data management and products, is based at the U.K. National Oceanography Center, Southampton. The Regional Centers will identify existing data from their assigned regions that are not currently in publicly available databases and seek to make these data available. 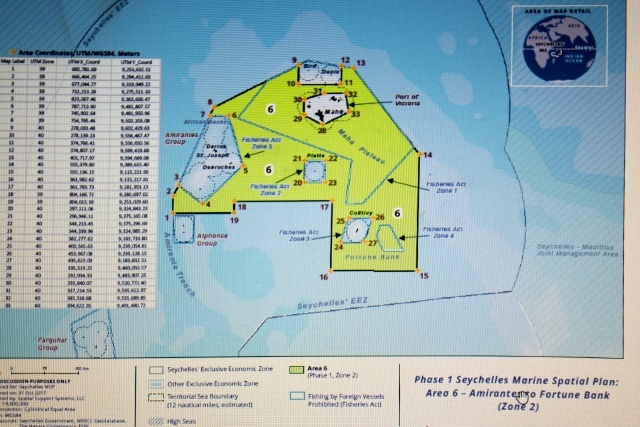 They will develop protocols for data collection and common software and other tools to assemble and attribute appropriate metadata as they assimilate regional grids using standardized techniques. The Global Center will integrate the regional grids into a global grid and distribute to users world-wide. It will also act as the central focal point for the coordination of common data standards and processing tools. The project will encourage and help coordinate and track new survey efforts and facilitate the development of new technologies that can increase the efficiency of seafloor mapping. Satinder Bindra has been appointed leader of the international project team and brings a wealth of experience to the project, having previously worked for the Asian Development Bank, the United Nations Development Programme and UN Environment, where he promoted key environmental initiatives and sustainable development. Bindra said: “This is a challenging opportunity to build a global common good and do something meaningful for our future generations. The scale and scope of the project is such that we will have to work with international organizations, universities, civil society, the private sector, maritime industries -including fishing and shipping, youth organizations and citizens from every corner of the world. Soon after delivery, Eduard Toll (Icebreaker LNG Carrier) made its way to complete both its first loading at Sabetta Terminal Russia and first discharge in Montoir, France. This marked a major milestone for shipping in the arctic as this was the first time a shipping vessel made independent passage, without the support of an ice breaker, during this time of year. The team onboard captured a timelapse of their voyage showing the start of the Northern Sea Route transit. The tanker, containing liquefied natural gas, is the first commercial vessel to make such a crossing alone during the winter months. The voyage is a significant moment in the story of climate change in the Arctic and will be seized on by those with concerns about thinning polar ice and its implications for the environment. Belonging to the shipping company Teekay, the ship Eduard Toll made its way from South Korea to the Sabetta terminal in northern Russia in December. From there, it sailed to Montoir in France to deliver a load of liquefied natural gas. A similar vessel made the same crossing in August last year, but this is the first time it has been completed when the temperatures are at their coldest. “The people and passion one needs for an ice passage like this cannot be underestimated,” Teekay gas group’s president and chief executive, Mark Kremin, told TradeWinds. As global warming leads to melting Arctic ice, areas of the northern oceans are becoming accessible to vessels for the first time. Shipping companies have been investing in ships that are able to break through thinning polar ice, as the northern sea route is considerably shorter for many trade links between Europe and Asia. Teekay is investing in six ships to travel to its liquefied natural gas project in Yamal, northern Russia. One study suggested European routes to Asia will become 10 days faster via the Arctic than alternatives by the middle of the century, and 13 days faster by the end. “The reduction in summer sea ice, perhaps the most striking sign of climate change, may also provide economic opportunities,” Dr Nathanael Melia, one of the authors of that study, said at the time. 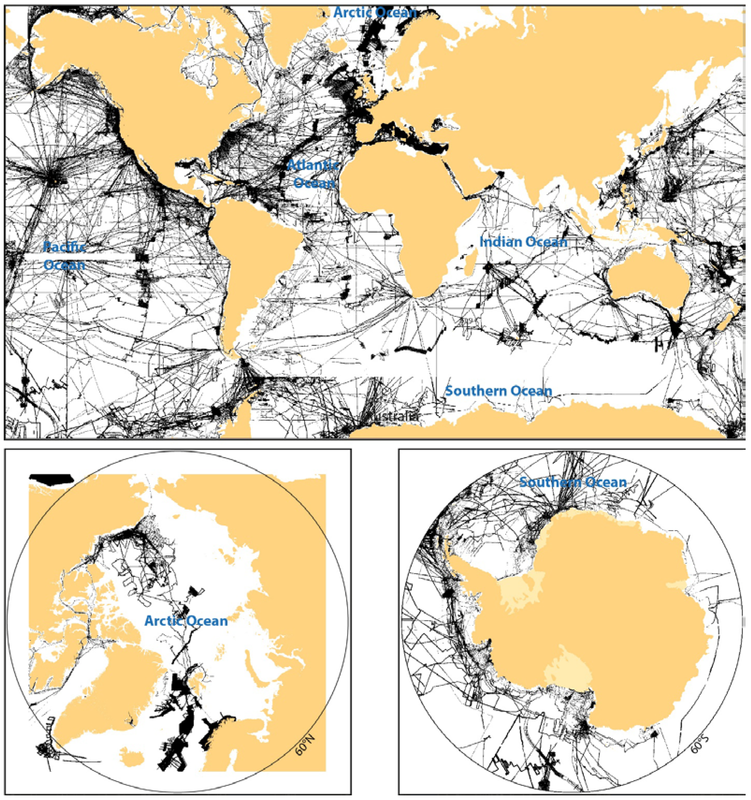 However, environmentalists and scientists have expressed concerns over the opening of the northern route and exploitation of polar resources. In December, the EU and nine of the world’s major fishing nations announced an agreement to ban fishing in the Arctic Ocean for the next 16 years. This was welcomed by environmentalists and scientists who pointed out the fragility of polar ecosystems, and the need to preserve them instead of merely exploiting resources made newly available my melting sea ice. But even non-fishing vessels can cause damage to the Arctic due to the pollution they emit into a largely pristine environment. As for the opening of trade routes, environmentalists have noted the irony in the rapidly warming Arctic seas being used as a highway for fossil fuel transport. “The Arctic has already exceeded the Paris agreement’s aspiration of limiting warming to 1.5C, and the agreed target of 2C. In some areas it has warmed by 4C,” said Sarah North, senior oil strategist for Greenpeace International. Following his Academy Award® nominated film The Theory of Everything, James Marsh directs the incredible true story of Donald Crowhurst (Colin Firth), an amateur sailor who competed in the 1968 Sunday Times Golden Globe Race in the hope of becoming the first person in history to single-handedly circumnavigate the globe without stopping. With an unfinished boat and his business and house on the line, Donald leaves his wife, Clare (Rachel Weisz) and their children behind, hesitantly embarking on an adventure on his boat the Teignmouth Electron. The story of Crowhurst's dangerous solo voyage and the struggles he confronted on the epic journey while his wife Clare and their family awaited his return is one of the most enduring mysteries of recent times. The somewhat dispiriting real-life story of Donald Crowhurst, the amateur sailor who in 1968-9 lost his pride, his mind and then his life in a single-handed yacht race to circumnavigate the world, has long exerted a fascination for film-makers. Nicolas Roeg once tried to film the story. In 2006, the documentary Deep Water explored the tragedy. And this big-budget take on the tale, buoyed up by the star power of Colin Firth and Rachel Weisz, was made at the same time as a smaller rival project, Crowhurst by Simon Rumley. Deep Water is a documentary film, directed by Jerry Rothwell and Louise Osmond, produced by Jonny Persey. It is based on the true story of Donald Crowhurst and the 1969 Sunday Times Golden Globe Race round the world alone in a yacht. '"We are all human beings and we all have dreams." Deep Water, beautifully narrated by Tilda Swinton, is a moving and totally absorbing account of one man who gets in over his head both physically and morally. The small boat becomes a microcosm for life where a person has to find their own rules. 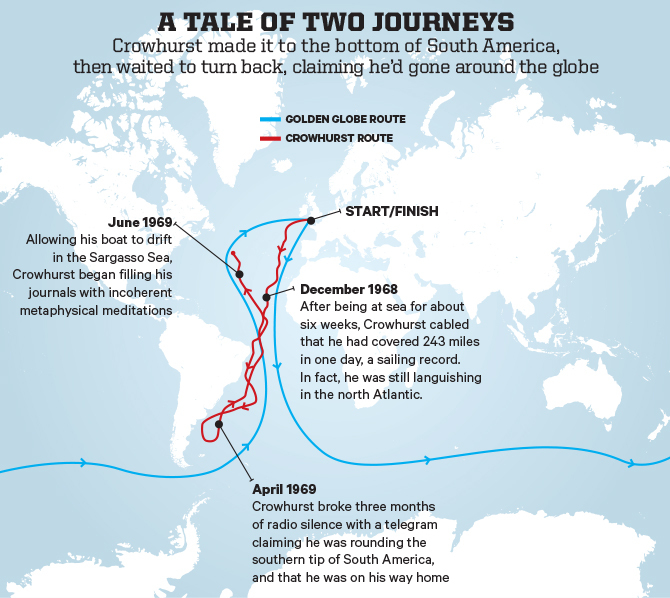 Crowhurst's journey is not the journey of Sunday Times heroes, but of a man. His dilemma is dangerously easy to identify with. This is an incredibly moving story - if you don't already know the historical details, do see the film first. One can see the attraction of the story to director James Marsh: Crowhurst (Firth) has a similar maverick eccentricity and forceful self-belief to that of high-wire walker Philippe Petit, the subject of his documentary Man on Wire. But for all its technical prowess – the sound design, all groaning metal and hectoring waves, is particularly effective – this account of inexorably crushed dreams is kind of a downer. Unlike the steely resilience in the face of disaster of Robert Redford’s character in All Is Lost, watching Crowhurst slowly crack is the cinema equivalent of filling your pockets with pebbles and chucking yourself into the Solent.